100% silk Crepe de Chine. These scarves have a beautiful drape, wonderful texture and a very subtle sheen. They are very sophisticated, they have hand rolled hems. 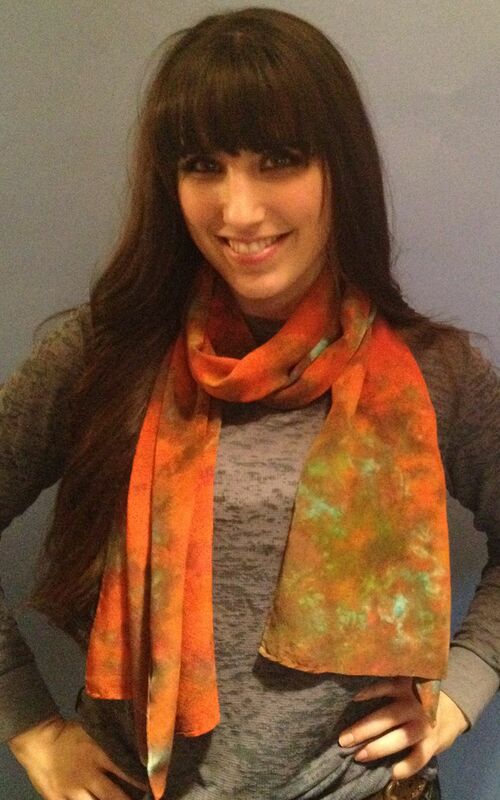 These are the most luxurious scarves we manufacture. All scarves are dyed individually by hand in our NYC studio. A truly unique one of a kind garment.